Ingrown toenails can be more than just a cosmetic problem. 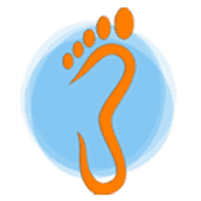 With six locations in Farmington, Las Vegas, Santa Fe, Taos, and Los Alamos, New Mexico, the experienced podiatrists at Animas Foot & Ankle provide effective treatments for ingrown toenails and are knowledgeable about the more serious complications that can occur without the right podiatric care. The trained Animas Foot & Ankle specialists can help you to take care of your feet and prevent further problems, such as a bone infection. Call your nearest office or click to conveniently book online. When the side or corner of your toenail grows the wrong way into your skin and soft flesh, an ingrown toenail occurs. Ingrown toenails usually appear on the big toe. An ingrown toenail can be painful and cut into your skin, resulting in inflammation, swelling, redness, and pus drainage. Some more serious cases may lead to a bone infection, but many ingrown toenails resolve on their own. Men and women with poor blood flow to the feet caused by certain medical conditions like diabetes have a heightened risk of developing the complications of ingrown toenails, including gangrene of the toe. If you don’t cut your toenails straight across or if you cut them too short, it can lead to an ingrown toenail. How Can I Take Care of My Ingrown Toenail at Home? To take care of your ingrown toenail at home, soak your feet in warm water for 20 minutes twice a day to reduce tenderness and swelling. You can soften the edges of your nails by trimming and filing your nails properly. You can also place padding or bandages around your ingrown toenail for comfort and protection. If home treatment doesn’t work or if the ingrown toenail is getting worse, it’s time to head to Animas Foot & Ankle for podiatric care and treatment. When you come in with an ingrown toenail, your Animas Foot & Ankle specialist usually starts with a physical exam and may take X-rays with digital technology. To give you temporary relief, your Animas Foot & Ankle podiatrist might clip the corner of your toenail conveniently and quickly in the office without anesthesia. If your toenail is only slightly overgrown, your podiatrist may lift the edge of the nail and place a splint, cotton, or another material to separate your nail from your skin. The splint may help your nail to grow in the right direction over the edge of your skin. If you have recurring and severe ingrown toenails, your podiatrist might recommend removing a part or all of your underlying nail and tissue. Your podiatrist applies an acid or chemical to the nail root. This procedure is generally done in-office with a local anesthetic and no downtime. Get rid of your ingrown toenail with the help of a trained podiatrist. Call Animas Foot & Ankle or use the online booking system today.